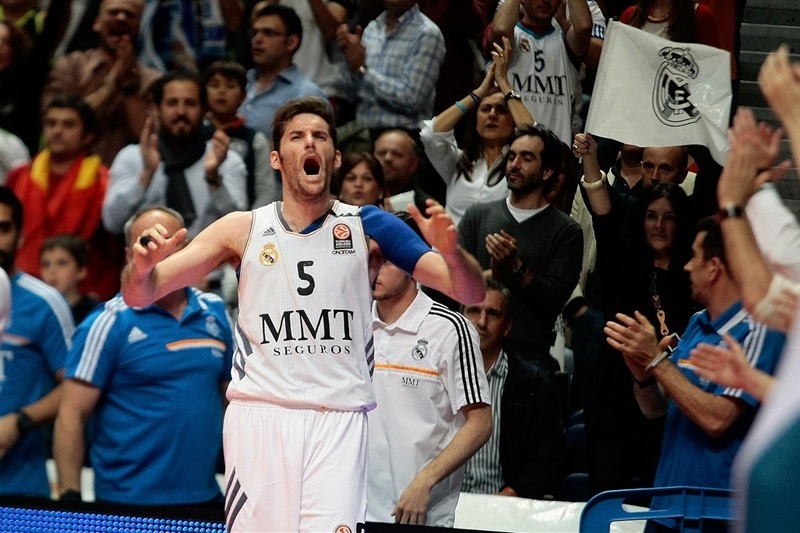 Madrid dethrones Olympiacos, reaches the 2014 Final Four! There will be a new champion at the end of this Turkish Airlines Euroleague season. 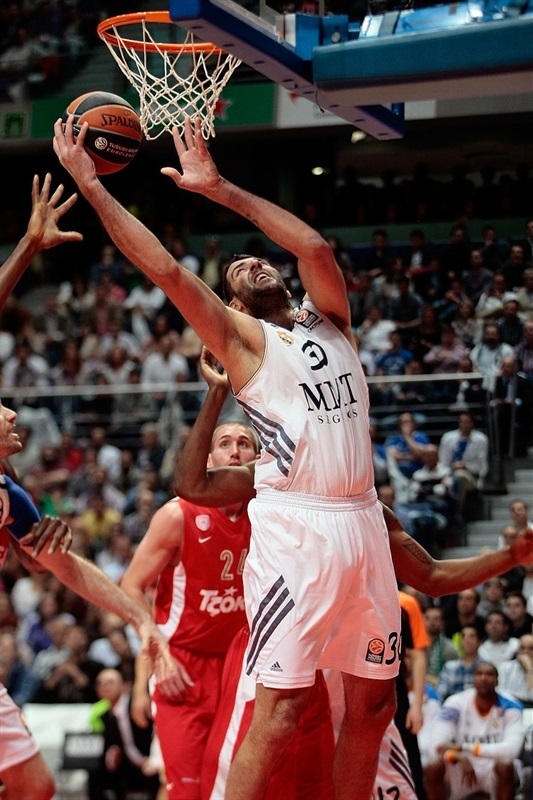 Real Madrid knocked out back-to-back champion Olympiacos Piraeus with an 83-69 victory at home on Friday. The result sends Madrid to its sixth Final Four – and third in four years – by winning their best-of-five series 3-2. Madrid will face archrival FC Barcelona in the semifinals next month in Milan. 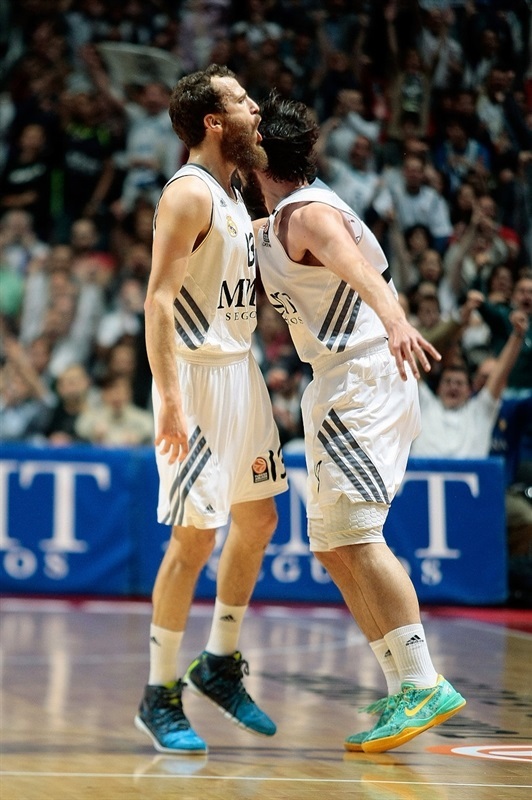 Sergio Llull led the winners with 20 points. 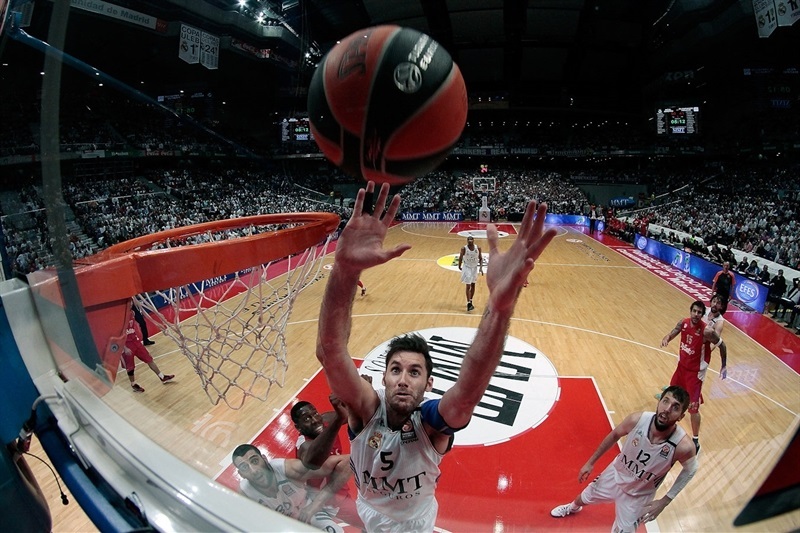 Felipe Reyes and Rudy Fernandez each added 15, while Nikola Mirotic had 10 for Madrid. Vassilis Spanoulis led Olympiacos with 19 points. Matt Lojeski added 15 for the Reds. Three-pointers by Lojeski and Spanoulis allowed Olympiacos to get an early 7-9 lead. 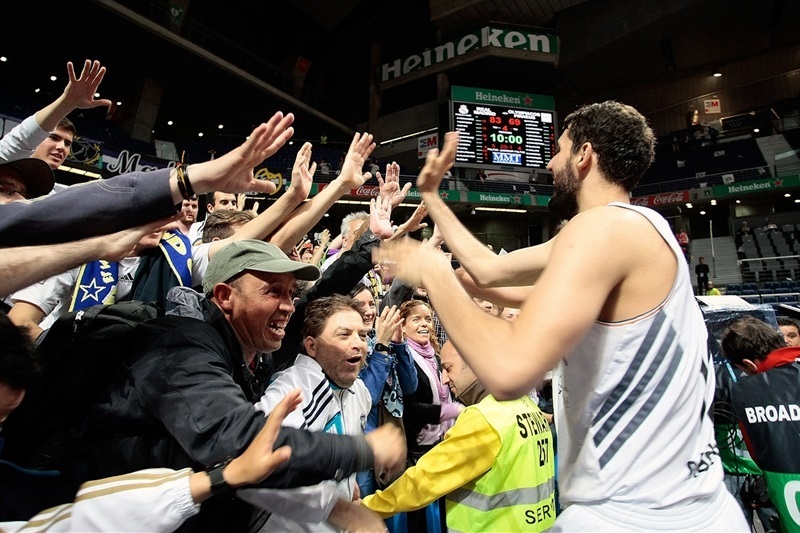 Mirotic and an outstanding Llull stepped up to give Madrid an 18-12 lead after 10 minutes. Reyes and consecutive three-pointers by Sergio Rodriguez made it 38-25, but Ioannis Papapetrou and Spanoulis combined for all the points in a 0-7 run that kept Olympiacos within 40-34 at halftime. 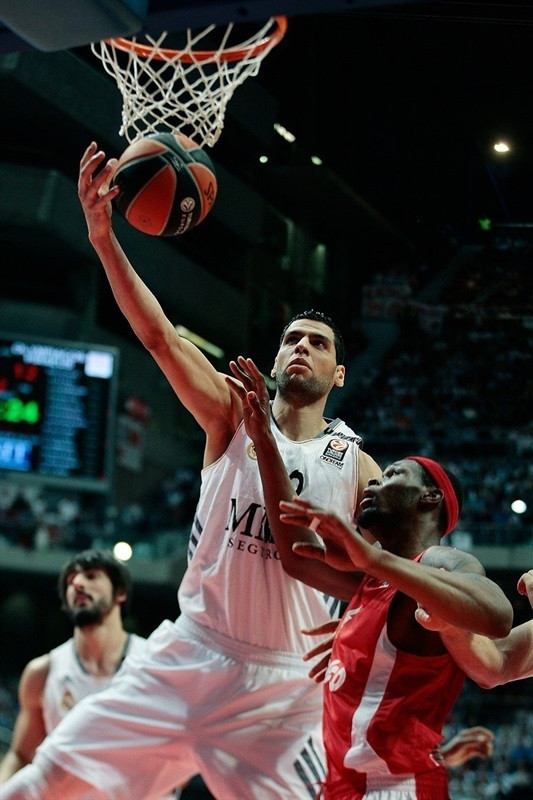 Mirotic took over after the break and got help from Fernandez to keep Madrid ahead, 59-52. Madrid boosted its margin to 66-54 behind an unstoppable Reyes and then again to 76-62 with four minutes left, enough to start celebrating a spot in the 2014 Final Four. Llull got Madrid going with a three-pointer in transition. Olympiacos went scoreless for almost two minutes before a bomb from downtown by Matt Lojeski tied it at 3-3. 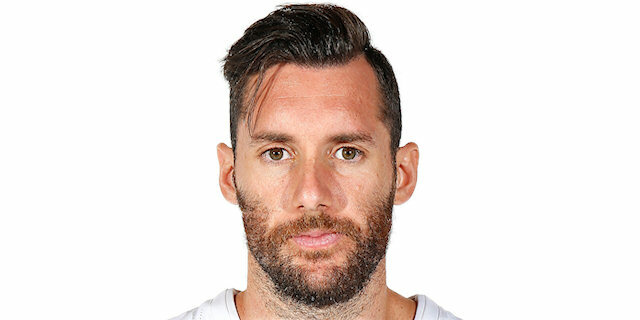 Rudy Fernandez took over with a wild driving layup that Spanoulis bettered with a triple to give Olympiacos its first lead, 5-6. Tremmell Darden rescued Madrid with a put-back layup, but he didn't find much help around, as the hosts tried to get Ioannis Bourousis involved without much success. Lojeski nailed another triple before a power layup by Nikola Mirotic tied it at 9-9. Fernandez fed Darden for an alleyo-op slam and an off-balance jumper by Mirotic made it a 4-point game. 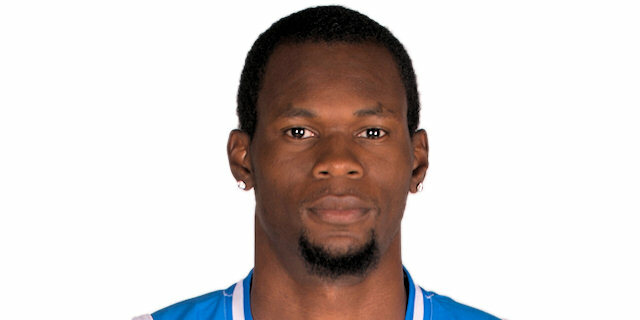 Olympiacos could not find the way to the basket until Mardy Collins stepped up with a layup-plus-foul. Llull followed free throws with his second three to give Madrid a 18-12 lead at the end of a very intense first quarter. 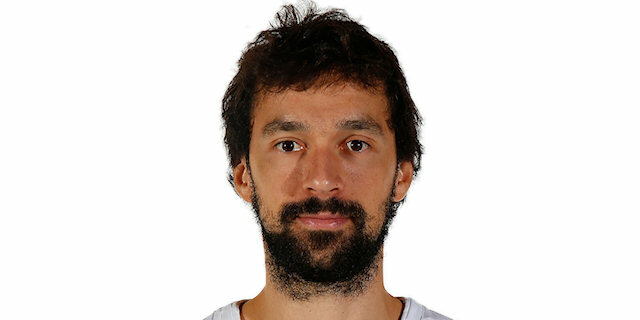 Felipe Reyes scored down low early in the second quarter and Llull struck from downtown off an Olympiacos timeout to give Madrid its first double-digit margin, 23-12. 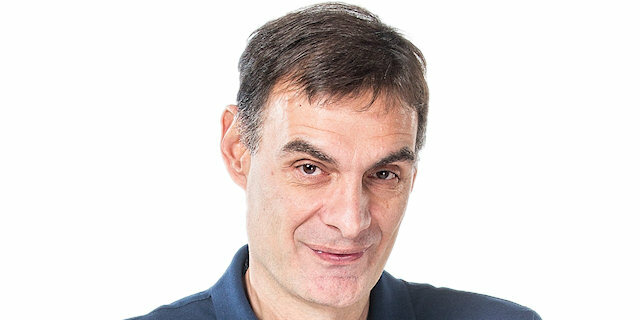 Kostas Sloukas tried to change things with an off-balance basket, which Reyes matched with foul shots. A three-pointer by Brent Petway gave the Reds hope at 25-17. Lojeski made free throws, which Llull erased with a fade-away jumper. Spanoulis returned to the floor, fed Cedric Simmons for an alley-oop slam and soon added a mid-range jumper to cut the difference to 27-23. Madrid found a new to-go guy in Sergio Rodriguez, who struck twice from downtown to restore a 10-point Madrid margin. Simmons shined with a big slam, but a three-point play by Reyes ignited the crowd. Llull and Georgios Printezis exchanged baskets and free throws by Bourousis made it 40-27. Ioannis Papapetrou hit a corner triple and Spanoulis copied him right after that to bring Olympiacos back to life, 40-34, at halftime. Both teams struggled to score after the break until Fernandez made free throws. 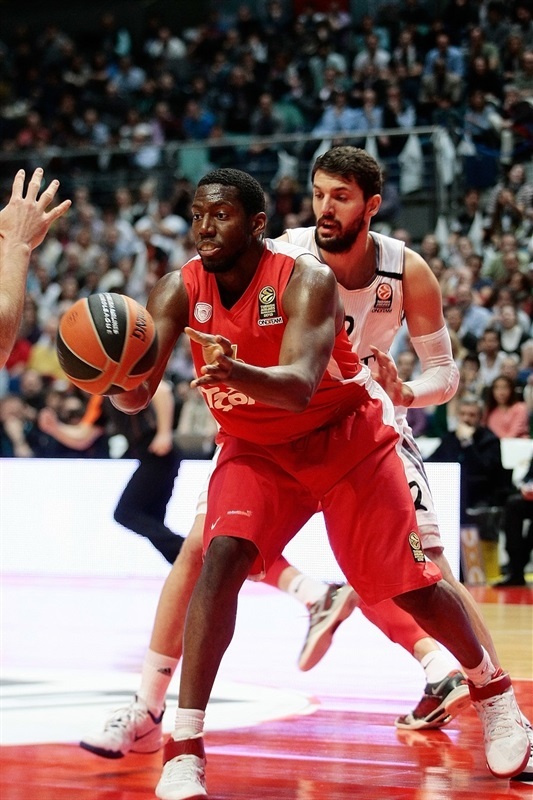 Printezis rescued Olympiacos with a driving layup, but Mirotic found Bourousis for a close basket and a 44-36 Madrid margin. After Lojeski slashed and dunked, Fernandez quickly answered with an acrobatic layup. A free throw by Dunston kept the Reds within 46-39. Bourousis scored down low. 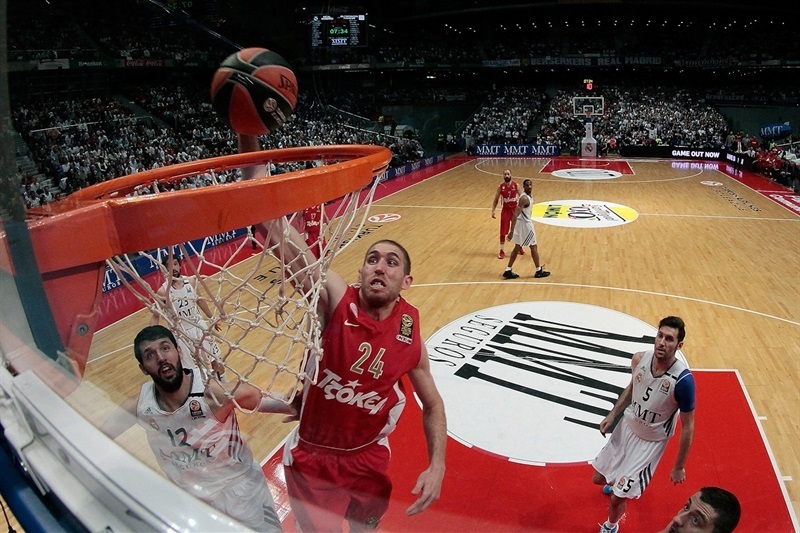 Spanoulis took over with a driving layup and a dunk by Mirotic restored a 50-41 Madrid edge. Darden hit a mid-range jumper, which Vangelis Mantzaris matched with a five-meter shot of his own to keep Olympiacos within 52-43. Mirotic hit 4 of 5 free throws, which bettered Petway's corner three-pointer for a 56-46 score. Petway insisted from downtown and Simmons bettered Fernandez's free throws with a layup-plus-foul that brought Olympiacos as close as 58-52. Marcus Slaughter split foul shots to fix the score at 59-52. Fourth quarter: Madrid is a fiesta! Fernandez made free throws early in the quarter, which Spanoulis erased with an outstanding driving layup. Fernandez kept pushing Madrid with a high-flying tip-in, a steal and a catch-and-shoot three-pointer that ignited the crowd, 66-54 with eight minutes left. Dunston split free throws before Reyes restored Madrid’s 13-point margin. Spanoulis nailed a stop-and-pop jumper, which Reyes erased with a mid-range shot. 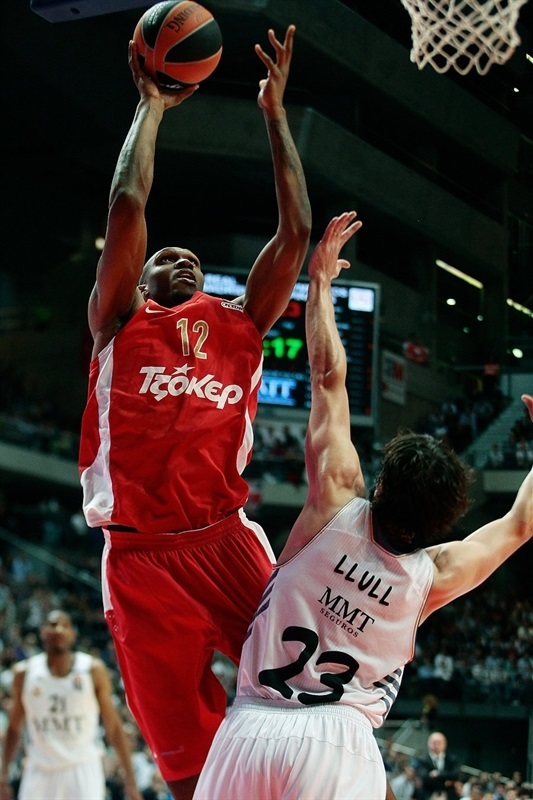 Spanoulis found Dunston for an alley-oop layup, as Madrid kept using long possessions to run the game clock down. Rodriguez and Spanoulis traded baskets and another baseline jumper by Reyes seemed to seal the outcome, 74-61, with over four minutes left. Spanoulis split free throws, but a close jumper by Llull got the party started, 76-62, with three minutes to go. Olympiacos never surrendered and bowed out of the 2013-14 Turkish Airlines Euroleague without the chance to defend its title in the Final Four. That right belongs to Real Madrid, which won the series and now looks for its ninth continental crown! "I am very happy; making it to the Final Four is not easy. You start the season in November and it all comes down to one game on April 25. Madrid was the winner tonight, in every sense of the word. We had great fans and it was a really tough series. We grew as a team in this series and that has allowed us to eliminate the reigning champion. We will try to get Jaycee Carroll ready, physically and mentally. I have told my players several times how important being a team is and being able to win as a team." "We ran out of strength and chances. This loss will make us wiser as a team in the future. We had seven new players this season and arrived to this series with Printezis back in the team after a six-week injury and Spanoulis not being 100%. In the end, the best four teams reached the Final Four and the winner is the one who is better prepared in that moment. It is difficult to win a game when you had 13 rebounds less than your opponent. We didn't manage our foul situation well. There are no favorites in the Final Four; whoever is better prepared and ready when that time comes will win it." "I must admit I am very happy and satisfied to be back to the Final Four. It will be our third in four years and the second consecutive for me. We deserved it; the team never gave up. Offensively, we had a very good game. We managed to control the offensive boards and that was one of the biggest keys to this win. We did a good job in general terms. We showed that we deserved to advance to the Final Four." "Making it to the Final Four shows that our project is moving forward. The whole team played well, we were really focused, no matter if it was the first or 30th minute. We played at the same level all 40 minutes. Our fans were great, as always. I am proud to play in front of our people. The key was to be able to play at our rhythm and controlling the boards allowed us to do it. I want to congratulate Olympiacos for being so competitive until the end." "We made a great effort to make it to Game 5, but had a lot of turnovers tonight and in a game like this, you pay a price for it. We reached halftime with 8 turnovers and that is not a good sign. We gave everything we had and made a great effort throughout the series, but Game 5 is always tough. We were really close to making it to the Final Four."